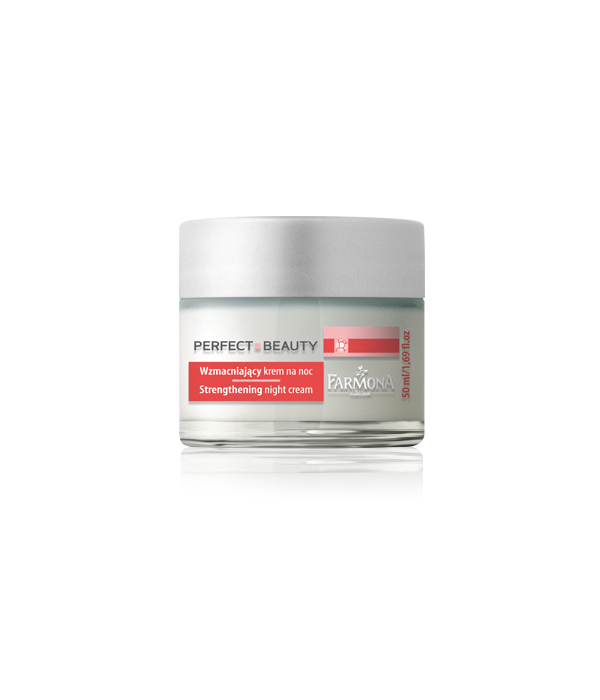 Reinforcing night cream with delicate, velvety texture is designed for hypersensitive skin with dilated and breaking capillaries, and prone to redness. Specially designed formula, thanks to a maximum dose of active ingredients, supports the skin’s resistance to stress, strengthens blood vessels and reduces erythematous reactions. Active extracts of chestnut and Japanese ginkgo improve blood circulation and have anti-inflammatory, astringent and sealing properties, thereby reducing vascular fragility and tendency to develop redness and spider veins. Witch hazel extract perfectly strengthens and shrinks the blood vessels. Grape seed oil supports the natural barrier functions of the skin and slows the aging process. – makes the skin regain its balance and a beautiful look. Apply the cream by gently massaging into the skin of the face, neck and décolleté. Apply at night. Chestnut, Japanese ginkgo, witch hazel, grape seed oil. Aqua, Isopropyl Palmitate, Polysorbate, Cetearyl Alcohol, Cyclomethicone Glycerin, Stearic Acid, Propylene Glycol, Gingko Biloba Extract, Aesculus Hippocastanum Extract, Vitis Vinifera Oil, Caprylic/Capric Triglyceride, Hamamelis Virginiana Extract, Centella Asiatica Extract, Butyrospermum Parkii, Ppg-15 Stearyl Ether, Glyceryl Stearate, Cetyl Alcohol, Phenoxyethanol, Methylparaben, Butylparaben, Ethylparaben, Propylparaben, Panthenol, Tocopheryl Acetate, Butylene Glycol, Saccharomyces Calcium Ferment, Parfum, Acrylates/C10-C30 Alkyl Acrylate Crosspolymer, Disodium Edta, Sodium Hydroxide, BHA.